thisislouisa Very responsible and punctual! Quick and smooth transaction, thank you again! minimalist.wardrobe Fast and smooth transaction. Very nice and punctual buyer! 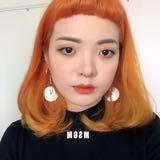 closetofkim Friendly buyer! Easy to communicate with & punctual. Thank you & hope you enjoy your item! @jessica.jlee15 is on Carousell - Follow to stay updated!